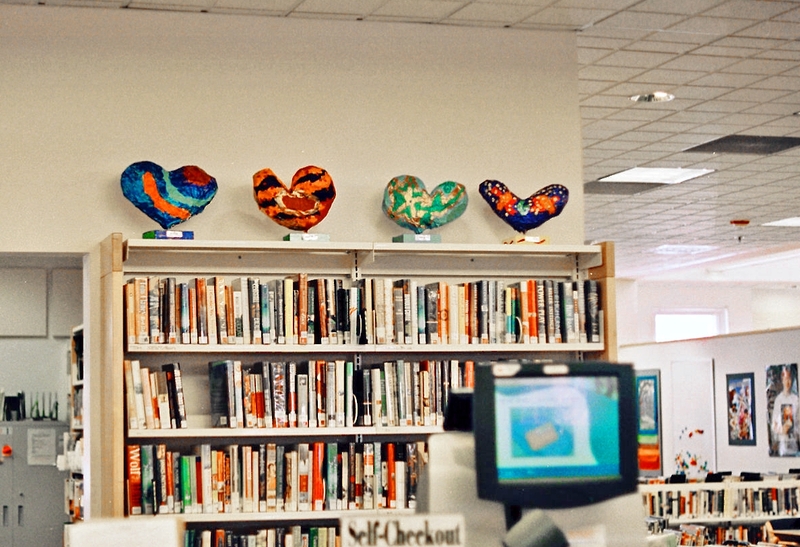 « Come Together Right Now…Over Quilts! 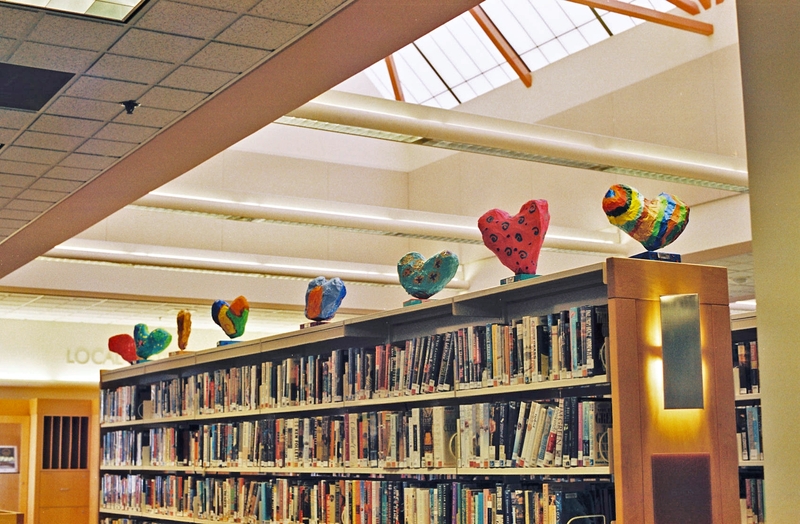 They’re back and they’re as colorful as ever! 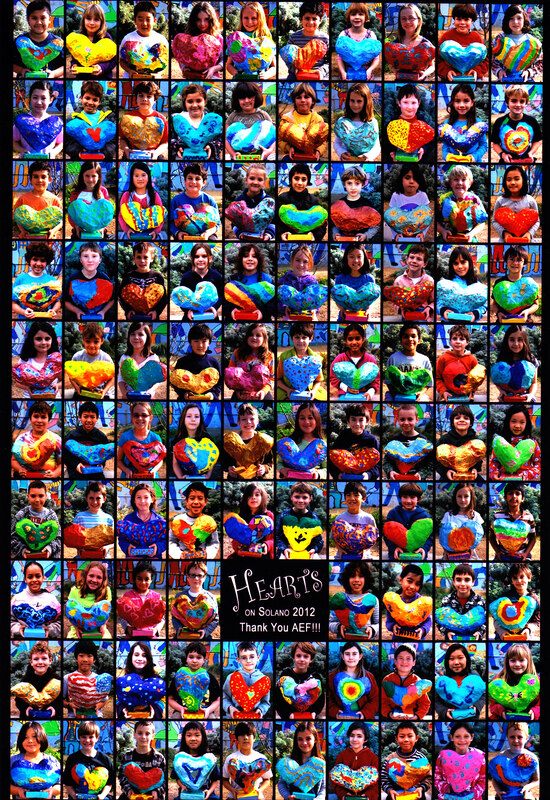 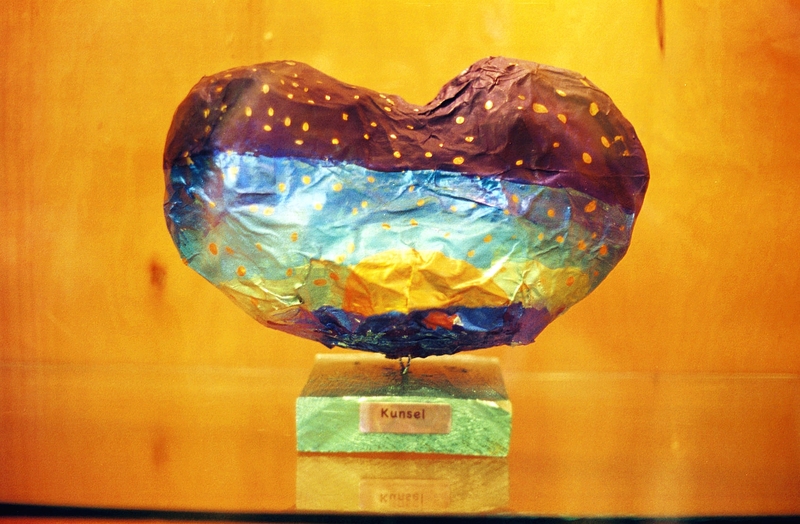 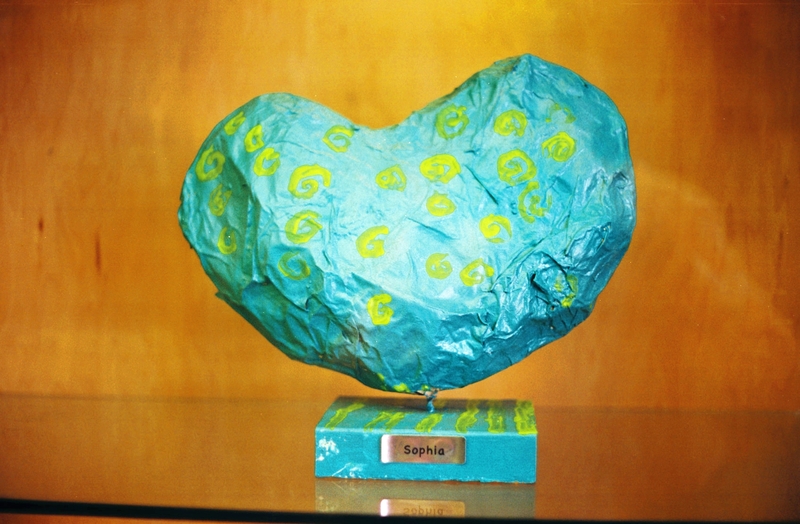 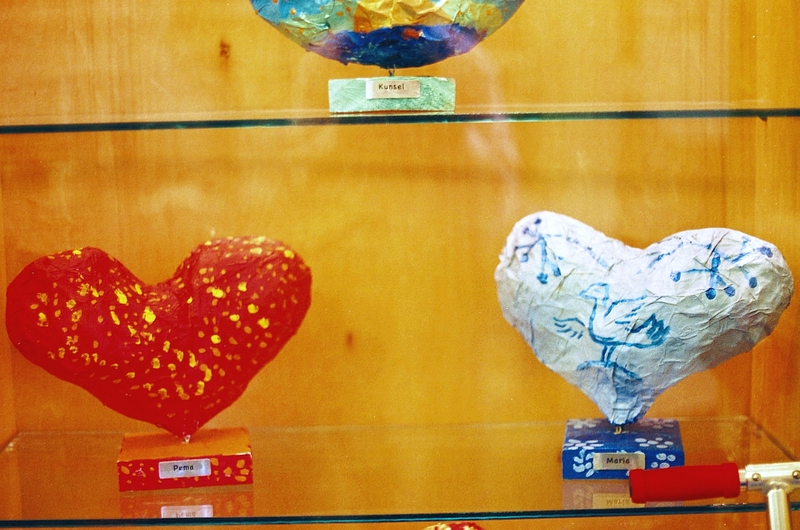 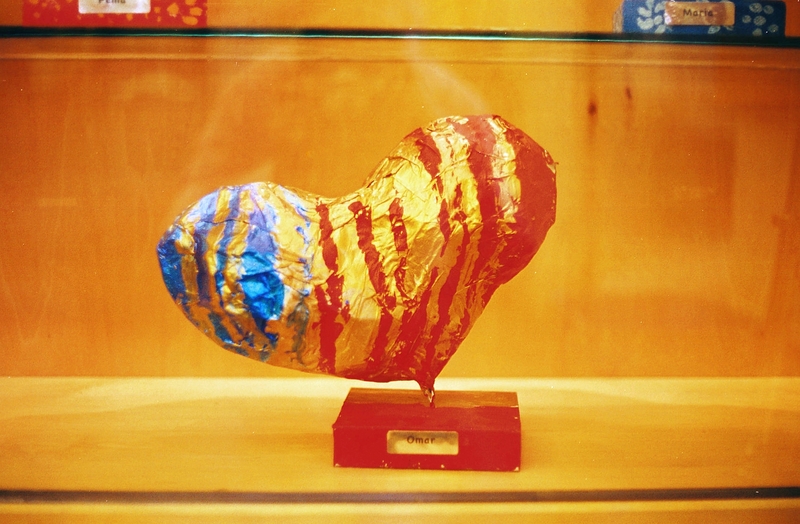 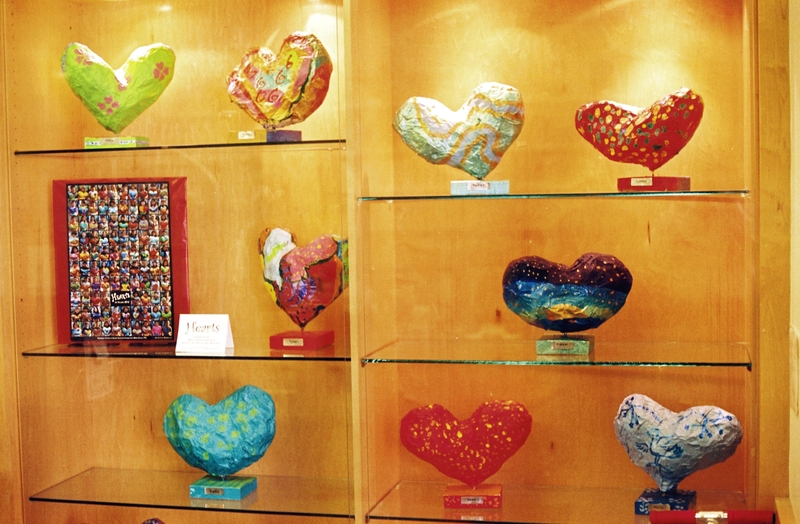 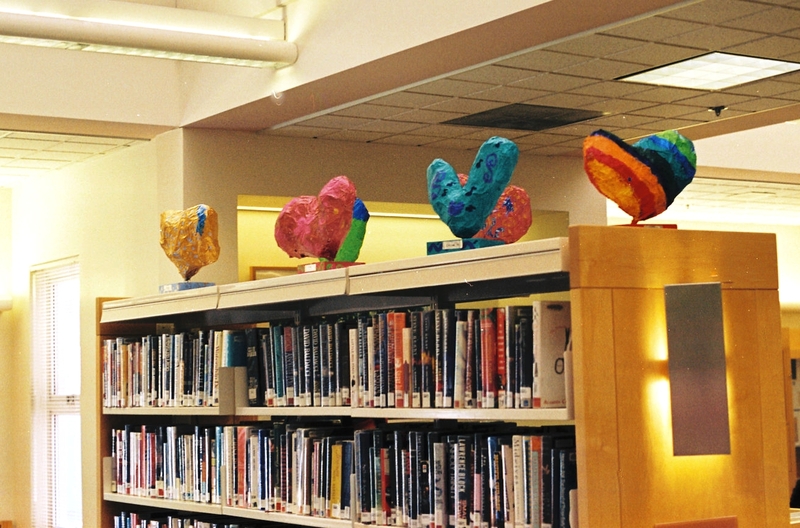 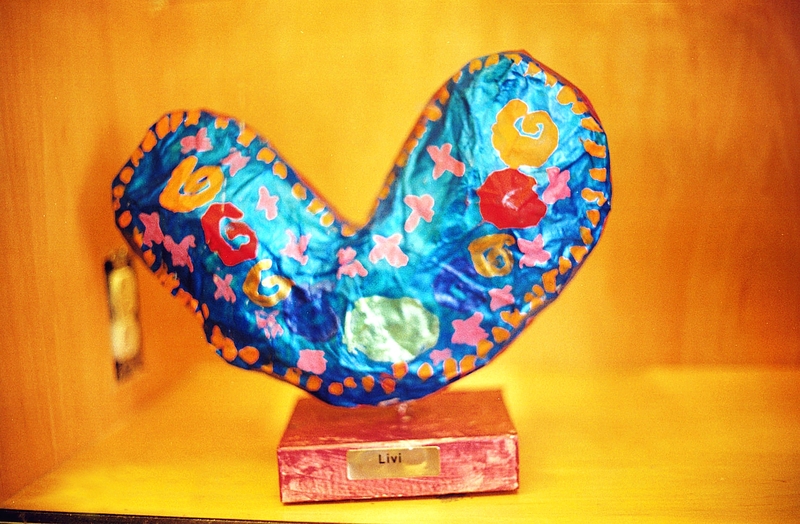 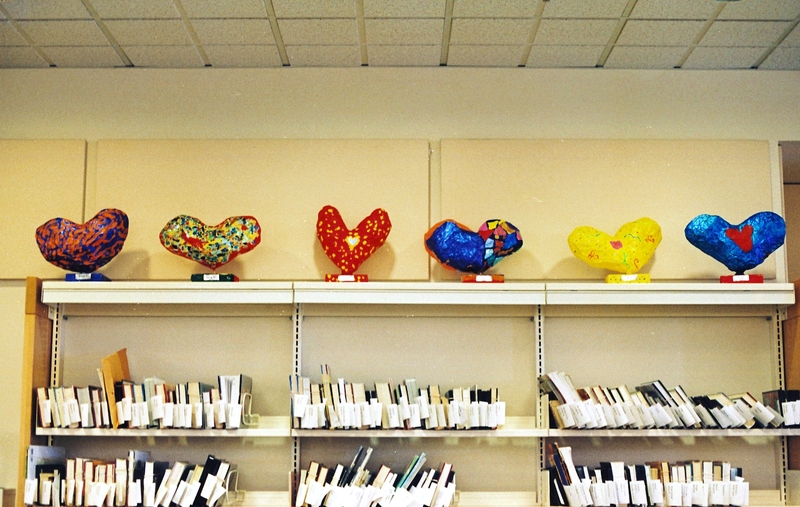 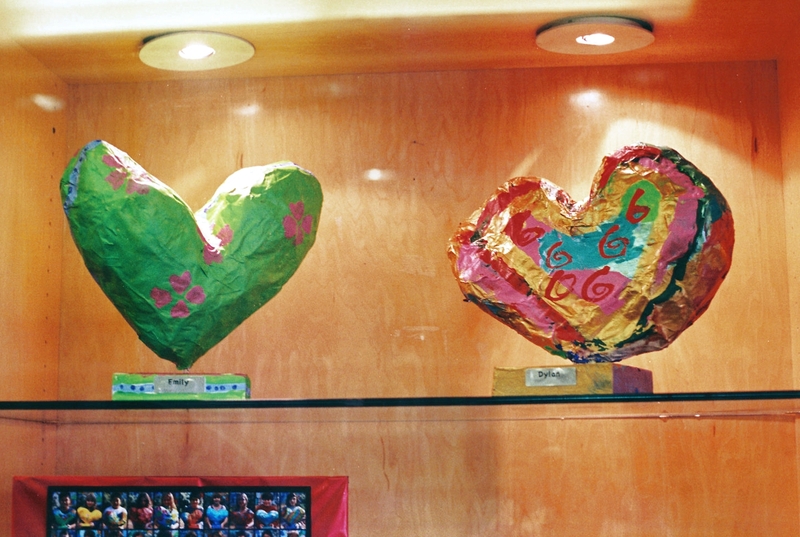 Come see the wonderful, whimsical hearts made by Marin School’s Third-Grade Artists. 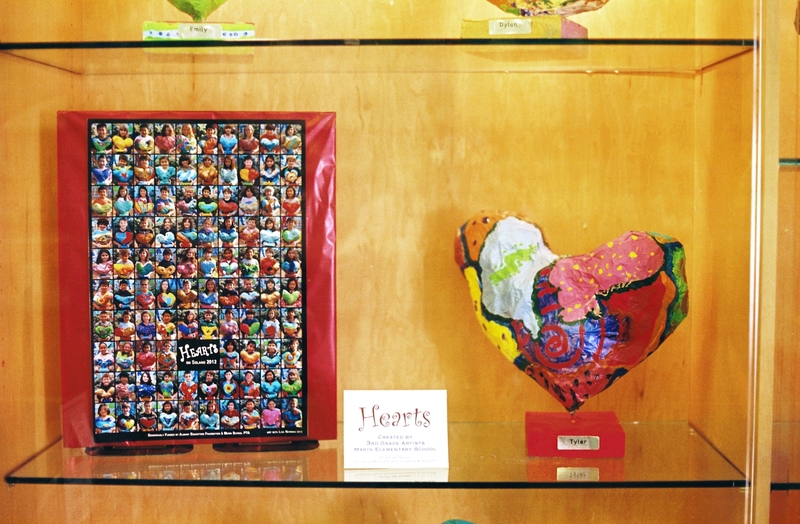 See the Key to the Artists and photos of the display below. 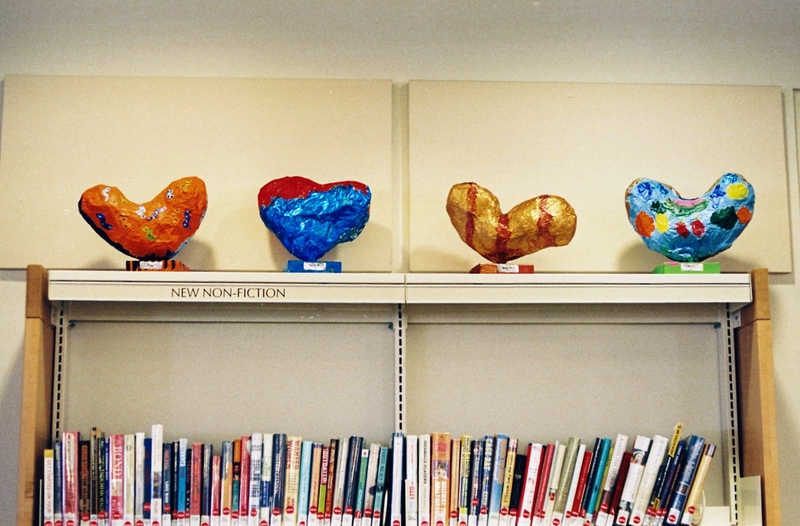 If you prefer action, spin around the stacks to the tune of a nickelodeon.